Most of us know the basic facts surrounding the potato famine that drove countless poor Irish people to immigrate to America. A blight devastated the potato crop. Tenant farmers couldn’t pay their rents, and many people starved. Most of us know that the politics of race and class also played an enormous role in the misery and exodus. And we know a bit about how the Irish immigrants fared after arriving in North America. 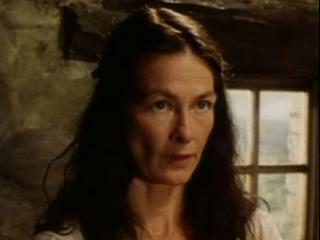 Scott and I recently watched The Hanging Gale, a four-part series set in Ireland during the 1846 famine. Four brothers of the Phelan family take different approaches to saving their families and farm from disaster. The programs provide a thought-provoking look at how hunger and oppression led to additional emotional conflicts within families as everyone struggled to stay alive. Should such oppression be met with violence, or with prayers? Should unfair rents be paid if money is available, or might the landlord actually take notice if every single tenant refused to pay? Such choices had the power to rip families apart—and they did. Much of my work as a curator and writer has focused on 19th-century immigration, and I’ve read and thought a lot about how painful those final good-byes must have been when one branch of a family decided to cast their lot in the new world. This series presents more complexities. In one vivid scene an elderly couple are turned out of their stone hovel. They are not permitted to take refuge with relatives. They have no money and nowhere to go. Two adult daughters, with other obligations, watch and weep as their parents simply walk away into the mist. The landlord, far away in London, never confronts the misery. His agent has the unpleasant and dangerous job of enforcing the landlord’s policies. (The land agent is played by Michael Kitchen of Foyle’s War fame, and I kept hoping he was saving a pithy and articulate speech that would somehow redeem his position.) Although the agent does at times offer small graces, and although viewers learn that he himself harbors some bitterness toward the rich aristocracy, he is only able to do so much. 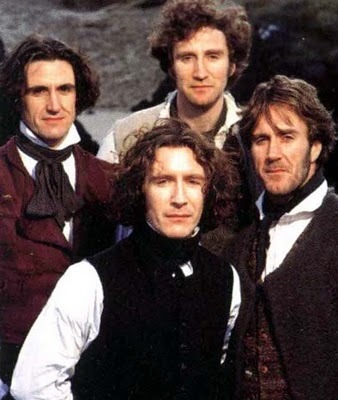 The series was shot in Ramelton, Donegal, Ireland. It has a great period feel. 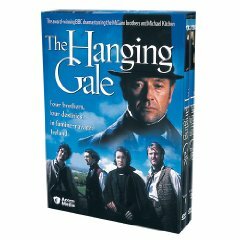 This 1995 series is a production of the BBC-Northern Ireland, and is available on DVD. Although sometimes grim, it’s well worth watching.